Equip your home with the latest and top-rated digital cables and accessories for your home theatre system. Enhance entertainment value and avoid short circuits and tangled cables with these smart and innovative products. In-wall speaker cables are easier to pull through cavities during installation, have an extra protective thick coating and internal ripcord to avoid damage, and fully fire-rated for complete safety. In-wall HDMI cables are the highest grade cable for home theatre and TV, and compatible with smart TVs, 3D TVs, game consoles, and data transmission. 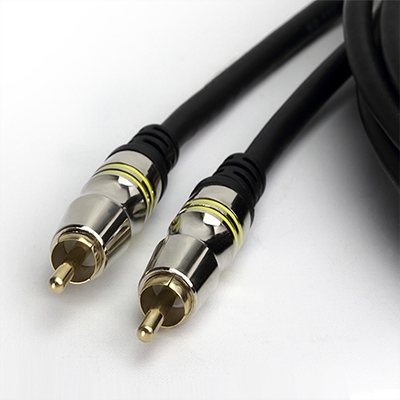 Multi-purpose RCA cables are corrosion-resistant, 24k gold-plated cables that give exceptional audio and video quality, and are great for in-wall installation and resistant to electrical interference. Speakers in your home need high-quality cables designed for in-wall installation. These have extra insulation protection for durability and in bright colours so an electrician can easily keep other cables away. 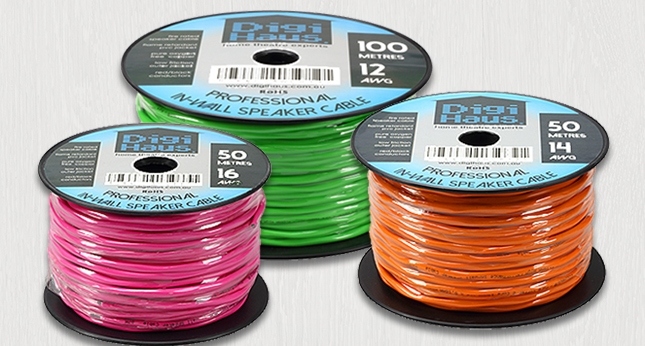 The speaker cables are superior, made of pure copper so that sound quality is not compromised. Our thick gauge cables have the highest conductivity for high-powered speakers, for long distances to rear speakers, and for multi-room setups. Order online now and we deliver to you anywhere in Australia. Your home theatre setup deserves HDMI, which is the highest grade cable for home theatre and TV. It is the improved standard with new features such as compatibility with smart TVs, 3D TVs, game consoles, and data transmission. These HDMI cables can also send audio to your TV and retrieve audio to send to your speakers. You can keep it simple with a single digital cable carrying your audio, video, and even data. You can also maintain your minimalist interiors by concealing your home theatre cables in walls and ceilings. 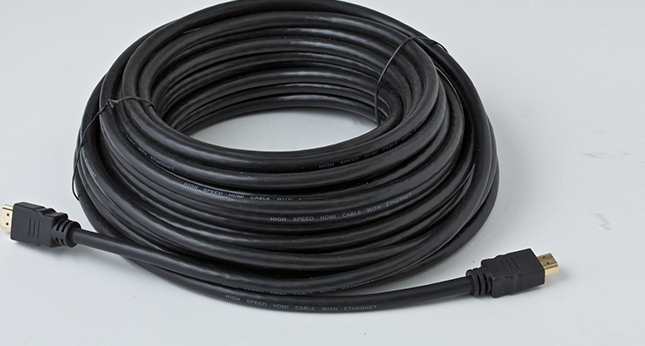 Use in-wall cables designed with thicker outer jackets and more durable connectors. Use high-quality, multi-purpose RCA cables that are high-performance and corrosion resistant. These 24k gold-plated cables are the best option for exceptional audio and video quality, with no signal degradation at each connection. Sturdy RCA cables with exceptional shielding make these great for in-wall installation and resistant to electrical interference. Use them for digital audio coaxial cables for high-end digital and multi-channel home theatre sound; left and right audio cables for connective your AV devices; composite video cables for your composite inputs on projectors and TVs; and subwoofer leads that utilise a single RCA to single RCA connection. 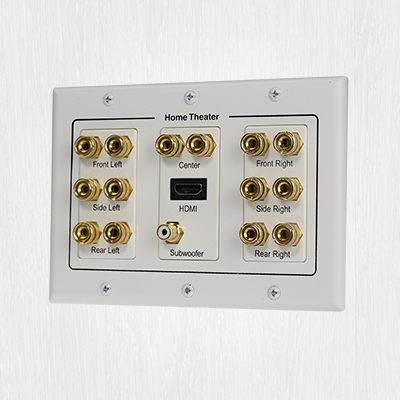 Professional wall plates can neatly conceal your home theatre cables in the wall so you don’t end up with a nest of tangled cables. These high-quality wall plates use only 24k gold connectors so they are resistant to corrosion and provide the best possible connection. Designed for simple installation, they provide all the audio and video connections you need for your home theatre setup. Add a projection screen to get the ultimate movie experience. These home theatre projection screens are the budget-friendly option, with variants that will fit your living room space. A silent motor that lets you drop down the screen at the touch of a button and neatly retract it back up when you’re done. 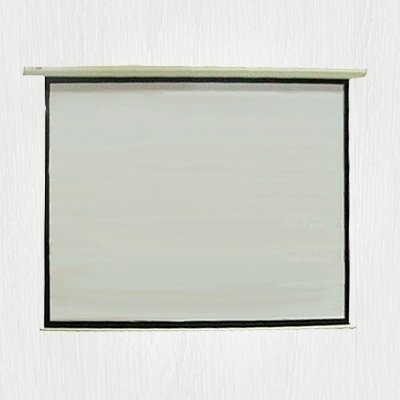 Our range includes a fixed wall-mounted projector screen, that comes with four tension mounts, ensuring that the screen will remain flat without ripples and the wide black velvet border will absorb the extra projector light.